This lamp dimmer kit is chock full of gear to give you a one-stop-shop for smart lighting. If flexibility is what you’re looking for in a smart plug, Lutron’s Caseta Wireless Smart Lighting Lamp Dimmer kit is worth serious consideration. 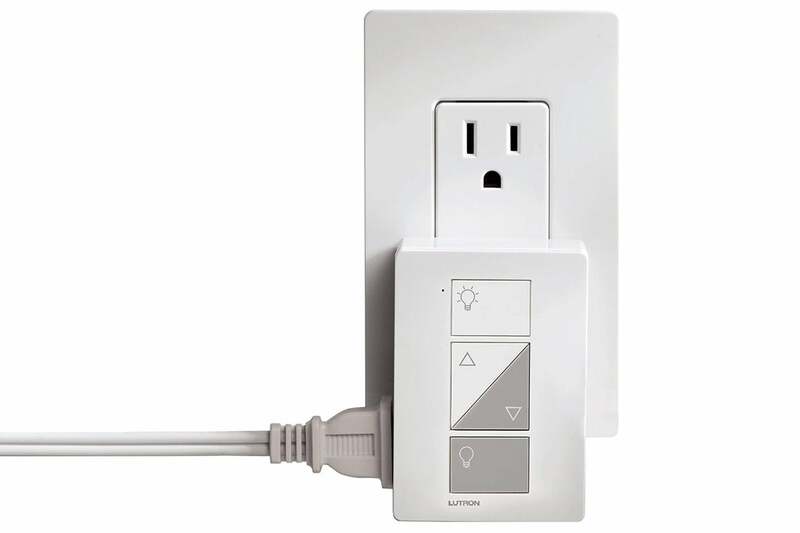 Whether you simply want to add a dimmer to an existing outlet or wish to integrate the system with a more complex smart home setup, Lutron has you covered. Lutron’s kit is unique in that it includes a variety of components that don’t all necessarily have to be used. In the box you’ll find two plug-in dimmer boxes, each with controls built into the face. Four buttons—on, off, dim, and brighten—fill the face of the switch. The dimmer hardware includes two outlets, one on either side, and the controls on the face command both outlets simultaneously. Note that these are two-prong outlets, and Lutron specifies that only lamps can be used with them. Additional smart plugs with remotes cost about $50 on Amazon, while in-wall dimmers are priced at about $60. The design is typical for two-outlet smart plugs. The rectangular box extends downward from the socket, with the two pass-through plugs located on either side of the dimmer. The design does not block the upper socket if it’s used in the lower socket on a two-socket receptacle, but there’s no way to squeeze a second dimmer into the same receptacle without an extension cord. Since this smart plug is also a dimmer, it can be used only with lamps, not small appliances such as fans or space heaters. To add the dimmers to your smart home, you’ll need to set up the included bridge, a small box which unfortunately must be wired to your router via an ethernet cable. 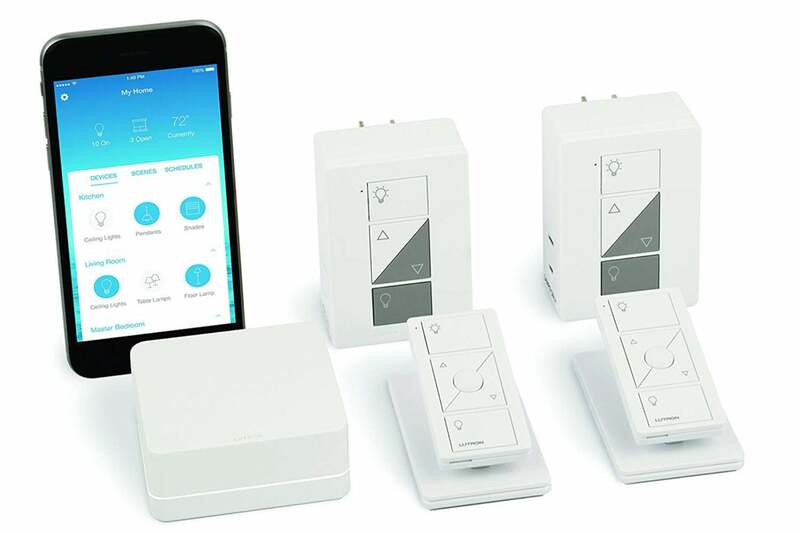 To set it up, just install the Lutron smartphone app and walk through the installation routine, which involves pressing a button on the back of the device and scanning a HomeKit code if you’re using an iOS product. With this step done, you can now control your lights either through Lutron’s app or through the iOS Home app. But wait, we’re not done, because the Lutron Caseta kit includes two remote controls that offer the same four features that you get on the face of the dimmers themselves, plus a fifth button that can be set to a “favorite” brightness setting. These remotes aren’t pre-paired to one of the dimmers—and in fact they can be used with different Caseta dimmers altogether, including in-wall models. Even the remote is represented within the mobile app: Yes, the remote can be controlled remotely. 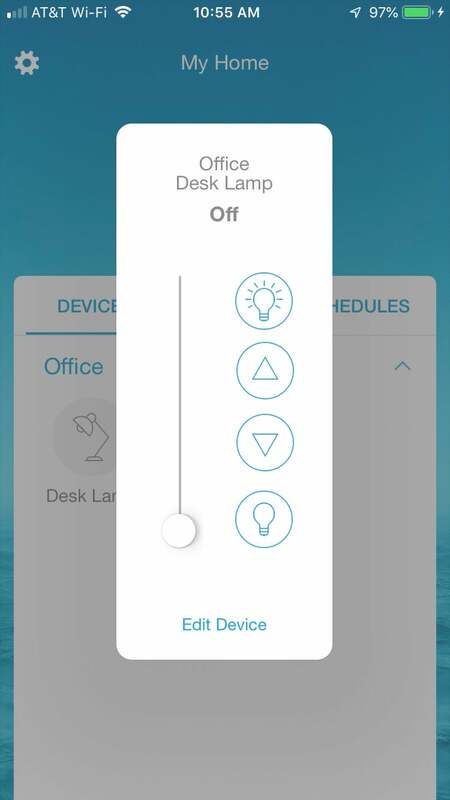 Pairing takes place within the Lutron app, though note that you’ll need to have the bridge set up before you undertake this. (Pro tip: Once paired, even if you remove the bridge from your network and uninstall the app, the remote will still work with its paired dimmer.) The remotes are slim devices not much bigger than an after-dinner mint, which makes them easy to misplace. You could reduce the chances of that by leaving them in their weighted pedestals, but where’s the fun in that? If you want to get more out of the kit, you can connect to Amazon Echo, Google Home, or Apple HomePod smart speakers, though Lutron’s documentation on how to do this is woefully incomplete. (For Alexa users, make sure you’re enabling the skill called “Caseta and RA2 Select.”) Voice control is basic but, again, functional. On the whole, despite some minor shortcomings (and a somewhat hefty price tag), Caseta’s all-in-one smart home dimmer kit is a winner that stands alongside the best lighting gear in the market.